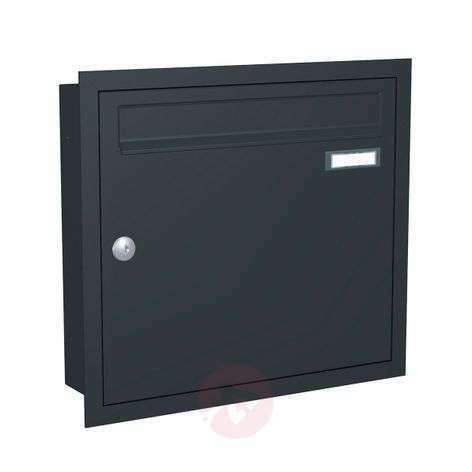 The Express Box Up 110 flush-mounted letterbox offers a capacity of 12 litres. It is made of galvanised sheet steel and aluminium for great durability and functionality. Letters are both posted and removed from the front. 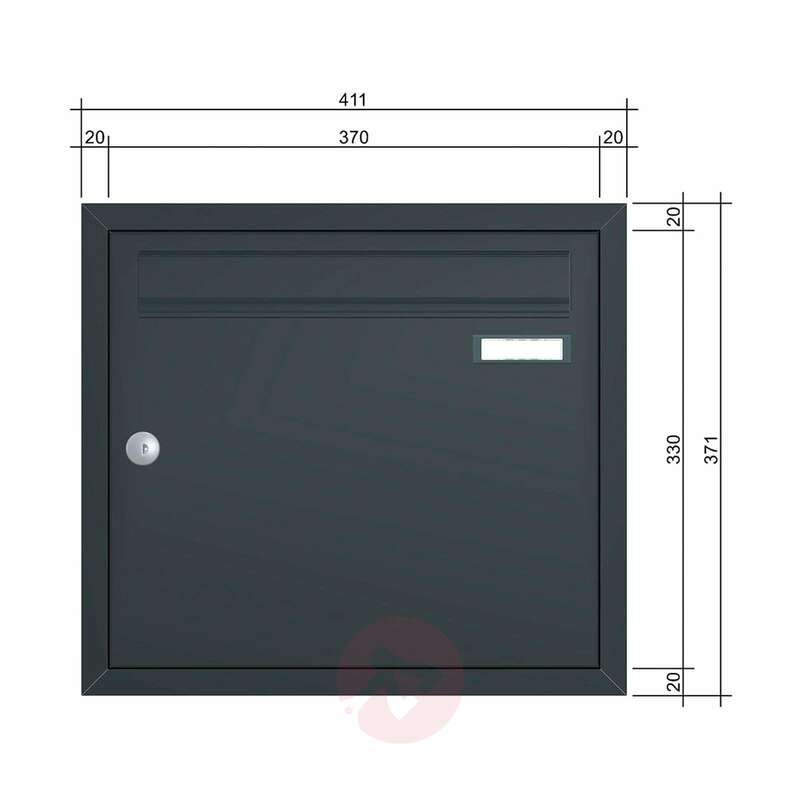 The letterbox comes with a TE 110 rectangular, painted aluminium face plate. Flush-mounted letterbox Express Box Up 110 st.st. 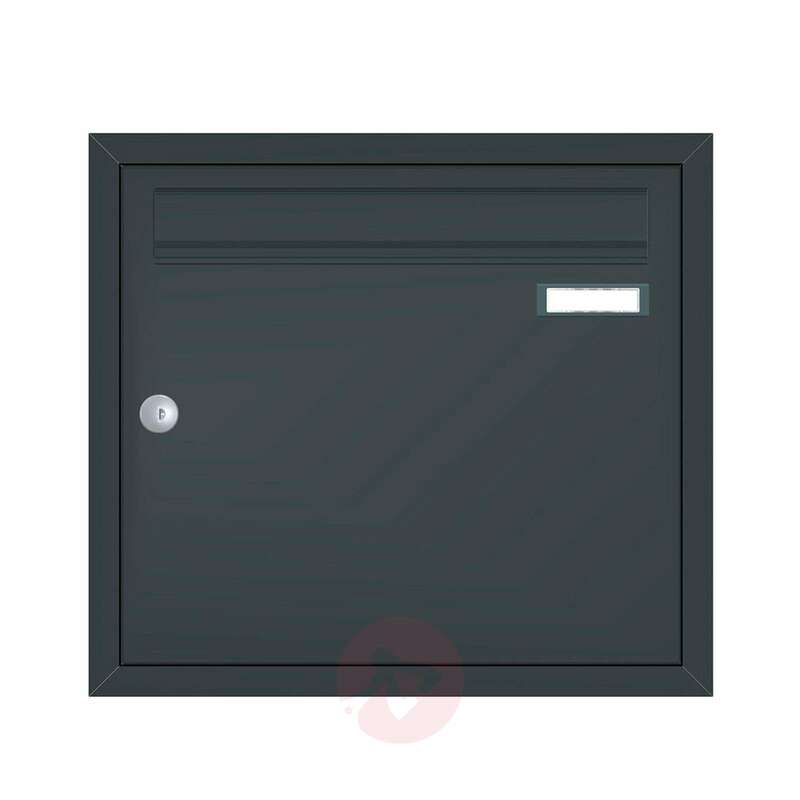 Modern letterbox Express Box Up 110 grey alu. The darkest colour for this collection is anthracite grey. However, the following item numbers are black: 1532164, 1045025, 1045051 and 1045100.